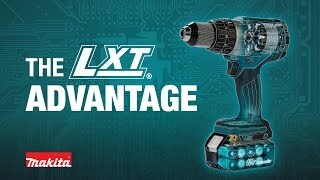 The 18V LXT® Lithium-Ion Brushless 1” Rotary Hammer (model XRH01Z, tool only, batteries and charger sold separately) is a cordless concrete drilling solution powered by an efficient Makita BL™ Brushless Motor for up to 50% longer run time, increased power and speed, and longer tool life. The XRH01Z delivers 0-950 RPM, 4,700 BPM, and 1.7 ft.lbs of impact energy. Ease-of-use and efficiency features include 3-mode operation (rotation only, hammering with rotation and hammer only), a large 2-finger trigger for more convenience and greater comfort, and a depth adjustment guide for increased drilling depth accuracy. The XRH01Z is compatible with the optional HEPA Dust Extraction Vacuum Attachment (model DX01, sold separately) for improved dust extraction without the cord. Optimum Range (concrete drilling) : 3/16" - 1/2"
Shipping Weight : 7.1 lbs.